As the summer concert season begins to heat up, let’s see which festivals are offering iPhone apps and giving fans easy access to set lists, exclusive content and mobile alternatives to the crumpled paper schedule. 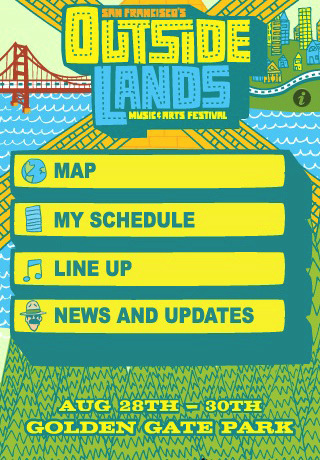 I received an email this weekend from Todd at Seed Labs about a new app that has been released for Sasquatch Festival and new iPhone apps that are in development for HullabaLOU, Lollapalooza, ACL and CMA Fest which will all be getting upgrades to last year’s apps. And as promised, I’ve updated this iPhone app guide with the info below for Sasquatch Festival and I’ll do same for the others when more info becomes available. As summer continues to roll on, more and more updates will be posted to our guide. Below are links to the latest info on Ravinia, Chicago Blues Festival, Outside Lands and Bonnaroo. 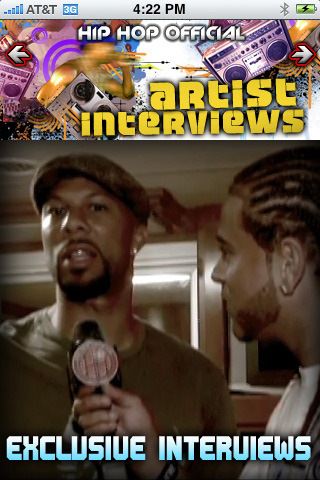 And be sure to check out the exclusive Live Fix interview mobile app developer Seed Labs. 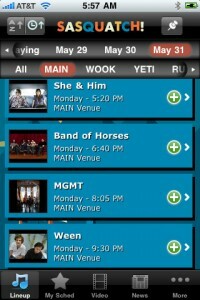 Most concert fans will agree that it’s a good thing when you can ditch the crumpled paper schedule and keep things nice and neat with a handy and convenient mobile app. That said, I thought it be good to continue our mobile concert app series with this “working guide” highlighting the mobile apps offered by this year’s most popular music festivals. 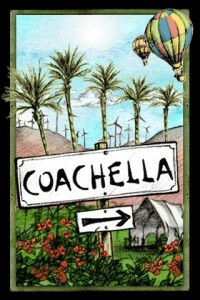 Since Coachella kicks off this Friday, we’ll take a look at their mobile app first. From there we’ll see what other festivals have available in the mobile app department, take a peek back at Ultra Music Festival’s app, wonder what other festivals will offer and then suggest a few tips for keeping your iPhone charged and ready to rock. Compared to other festivals, Coachella’s free iPhone app (image above) seems to be one of the best and most helpful apps for concert fans. Updated from last year, this new 2010 version gives fans several ways to make your concert experience more fun by aiming to solve many of the annoying obstacles that can make music festivals un-fun. Get more info here or download it from the iTunes app store. As I mentioned above, Todd told me that Sasquatches 2010 iPhone app (FREE) has a few new features including the option to take pictures and push them up to TwitPic and Facebook and have the photo caption automatically filled in for you. They also made an Android version as well. You can get more info about the Sasquatch app and download in the iTunes app store. Bonnaroo released a free app to go along with 2009’s festival, but so far they haven’t officially announced a new 2010 version (update 6/6: yes they have. Go get it here). But I’d still keep an eye out for it because Bonnaroo is coming up soon in June. 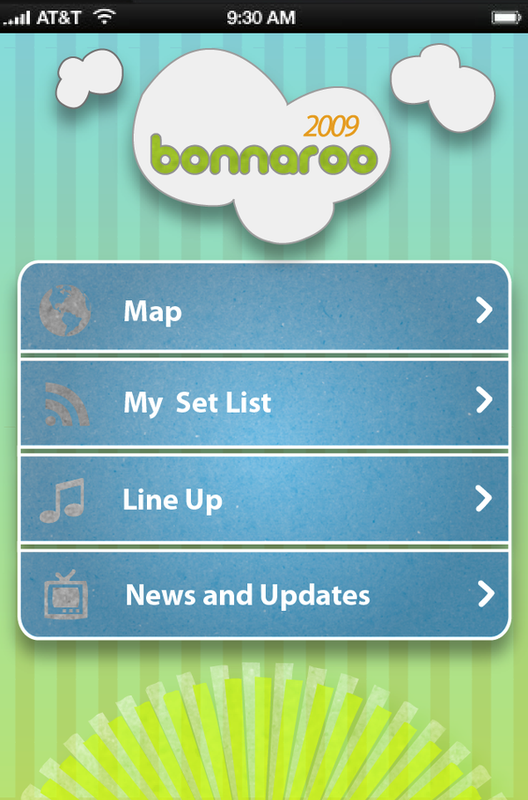 You can get more app info on the Bonnaroo community page and stay updated on the new version via Bonnaroo App twitter page (@bonnarooapp) or the iTunes app store. Like Bonnaroo, Lollapalooza has yet to release their 2010 version. They had an app for last year’s festival that included all the basic features you’d expect. And with the official lineup just announced, I expect Lolla to release an updated 2010 version soon, too. And when they do, they’ll probably announce it. 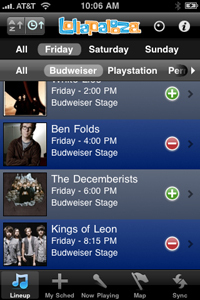 Go download the 2010 Lollapalooza app via the iTunes app store. Ultra Music Festival in Miami, FL wrapped up recently at the end of March and they offered an iPhone app that had a whole list of cool features, complete with an augmented reality option. If you went to Ultra Music festival and used the app, let us know how it worked out for you. Check out Ultra Music Festival’s app via the iTunes app store. Having covered Rock the Bells before, it makes sense that festival producer Guerrilla Union would create an app like Hip Hop Official. The app is packed with content that covers all aspects of the concert experience, including updates on concert highlights and event details, live-streaming of performances and in-depth interviews. It also lets you share and send your favorite video clips to friends via social networks. That said, the app costs $1.99, which isn’t really a bad deal considering all the stuff you’re getting. Download the 2009 version and get 2010 updates via the iTunes app store. If you’re really looking ahead, you’ll want to check out Austin City Limit’s iPhone app. 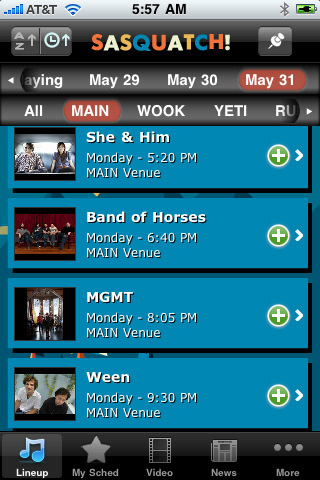 The 2010 festival isn’t until the fall, but still the app is worth checking out because they’ll probably be sending out updates on lineup and ticket info as the year rolls on and getting the app should help you plan ahead. Download it via iTunes app store here. 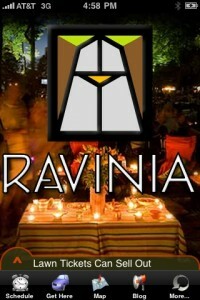 We’ve had many adventures at Ravinia that’s located in Chicago’s northern suburbs. And of those adventures one of my favorites involves seeing and experimenting with John Legend and Screaming Ladies. 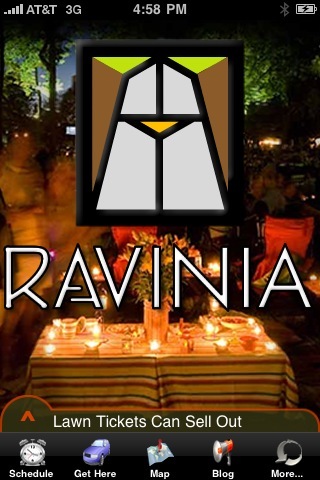 And I was informed recently by Tim at Jacobs Media who told me that their apps division jacAPPS has recently released an iPhone app for Ravinia, so we’ve gladly added it to our guide. Check it out via iTunes. Detroit International Jazz Festival and California Mid State Fair. The new 2010 version is not yet released by Aloompa, but you can get the latest via Outside Land’s @OutsideLandsApp twitter updates and iTunes download site. Upcoming Festivals. Upcoming iPhone apps? The two festivals that I’m really wondering about are Pitchfork Festival and Sasquatch Festival. Both are premier festivals; and as far as I can tell they aren’t offering any mobile apps for fans. But maybe they will eventually, so if you have any news about them please pass it along so we can update this working guide. Though all the mobile apps we’ve looked at are really handy tools for concert fans, one of the biggest challenges is keeping your cellphone charged during the festivals, especially if you’re camping out. Sure, you could make use of the cellphone charging stations that most festivals offer. But if you don’t want to wait in line while other fans recharge their cellphones, too, here’s a few ways to keep your cellphone charged up, while your body’s energy supply gets blissfully drained during the festival. Ars technica has a helpful set of reviews for external battery packs and charging options, as does CNET and mophie. And if you want to use natural energy, check out this review of solar powered iPhone chargers via Creative Loafing. 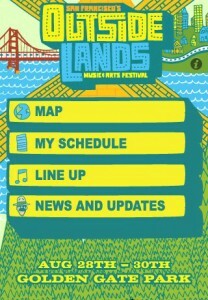 As I mentioned, some of these festivals haven’t released 2010 iPhone app versions just yet. But when Lollapalooza, Bonnaroo and others do, I’ll be sure to update this post. And as I discover more festival apps I’ll share my experience with them in our ongoing mobile app review series, too. If you plan on checking out any of these mobile concert apps, I would suggest downloading the latest version because you should get notified when the new 2010 version becomes available. How ‘Bout You Review An App? Have you’ve used any of the mentioned iPhone apps before? Drop a comment below letting us know if they’re worth it and what you like or don’t like about them.